Lindsay Ann Czarniak (born November 7, 1977), is an American sports anchor and reporter. After spending six years with WRC-TV, the NBC owned-and-operated station in Washington, D.C., Czarniak joined ESPN as a SportsCenter anchor in August 2011. She has also been a pit reporter and studio host for TNT's NASCAR Sprint Cup Series coverage and a former co-host and reporter for the syndicated The George Michael Sports Machine. Czarniak served as a host and sportsdesk reporter for NBC Sports coverage of the 2008 Summer Olympics in Beijing, China. Lindsay Czarniak was born in Harrisburg, Pennsylvania on November 7, 1977, and moved to Northern Virginia with her family when she was five. Her father, Chet Czarniak, spent 17 years working in a local newspaper's sports department. Growing up a sports fan, she played lacrosse and field hockey at Centreville High School. She also went to high school with rapper Ludacris. In 2000, she graduated from James Madison University with a major in online journalism. Czarniak at the New England Patriots vs Washington Redskins preseason game in 2009. Czarniak started out as an intern for WUSA in Washington, D.C. while still a college student. Her broadcasting career began as a CNN production assistant. Her first on-air role as a news reporter occurred while working for WAWS in Jacksonville, Florida. 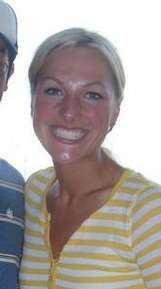 She also worked for WTEV-TV (also in Jacksonville), WTVJ in Miami, Florida, and the Speed Channel. In June 2005, Czarniak returned to the D.C. area and joined NBC4. She had received a phone call from George Michael to work as a sports anchor and reporter. She officially became the co-host of The George Michael Sports Machine in September 2006. In her first major assignment as a reporter, Czarniak traveled to Turin, Italy to relay coverage of the 2006 Winter Olympics for NBC Sports. She has also served as a pit reporter in NASCAR Nationwide Series races at the Martinsville Speedway and at the IRP Busch race. In March 2007, George Michael stepped down as NBC4's sports anchor. Czarniak and her colleague, Dan Hellie, then became the co-sports anchors. She was also tapped as a pit reporter for TNT's six-race Sprint Cup Series schedule from Pocono to Chicago. She remained with TNT for the same schedule in 2008. Following the murder of free safety Sean Taylor in November 2007, Czarniak was the first sports reporter to interview team players of the Washington Redskins. Czarniak made a guest appearance on the edition of May 22, 2008 of The Tony Kornheiser Show, occupying the "chick chair." On that show, she told a humorous anecdote of being arrested for expired license plates by the DC Police on her way to a News 4 interview, which turned out to be an important public service warning for those who visit Washington, D.C.
On July 17, 2008, Czarniak was honored at the Reading Phillies at Bowie Baysox doubleheader where she threw the first pitch. Czarniak also signed autographs during a meet and greet session throughout the games. Initially, Lindsay Czarniak Day was set to take place on July 21, but was changed due to a scheduling conflict. Fans at either the July 17 and the July 21 games received Lindsay Czarniak bobble heads. On July 29, Czarniak posted one of several blogs just before leaving for her 2008 Summer Olympics duties in Beijing, China. She was a sportsdesk reporter for NBC. She also sent in blogs to WRC-TV's Olympic zone of the website. Another one of her duties was hosting a half-hour show on Oxygen called Gymnastics on Oxygen. It was largely based around gymnastics and other Olympic competitions targeted toward women. It aired weekdays at 7:30 pm ET. On June 23, 2011, it was announced that Czarniak would leave NBC 4 Washington to work at ESPN. On July 13, 2011, Czarniak made her final broadcast as a sports reporter at WRC-TV. On August 19, 2011 Lindsay made her SportsCenter debut covering the evening's preseason football games. In December 2012, she took the place of Jay Harris as co-host of the 6 pm SportsCenter after Harris moved to the 11 pm SportsCenter. On April 24, 2013, ESPN/ABC revealed that Czarniak would be replacing Brent Musburger as the host of ABC's coverage of the 2013 Indianapolis 500. She will become the first woman to ever host the telecast. She succeeds Musburger as well as previous hosts and broadcast legends Jim McKay, Keith Jackson, Paul Page, and Al Michaels. Lindsay Czarniak's parents are Chet and Terri Czarniak. Chet has worked for the sports department at a Washington, D.C. based newspaper for 17 years before becoming the current managing editor of usatoday.com. Terri is a former principal at Rose Hill Elementary School, a Fairfax County public school, in Alexandria, Virginia. Lindsay's brother, Andrew, is a 2005 graduate of the United States Coast Guard Academy. He is currently serving in the U.S. Coast Guard. Czarniak appeared in the 2000 independent action film Aquarius, in which she played a character named Mist. In 2009, Czarniak made a cameo appearance in the Chris Cooley-executive produced indie film, Ghosts Don't Exist. Czarniak married WRC-TV reporter and weekend anchor Craig Melvin on October 15, 2011 in Washington. He currently works at MSNBC. Czarniak gave birth to their first son in 2014. She is pregnant again and made the announcement on SportsCenter before game 6 of the 2016 NBA Finals in Cleveland. ↑ Steinberg, Dan (July 1, 2011). "Lindsay Czarniak on going to ESPN". Washington Post. Retrieved July 1, 2011. ↑ "USATODAY.com". USA Today. May 16, 2005. ↑ Heil, Emily (March 11, 2014). "Lindsay Czarniak, Craig Melvin welcome baby boy". The Washington Post. Retrieved March 29, 2014.